The cityzone covers all Oxford Bus Company and Thames Travel buses within the cityzone area (click to view). 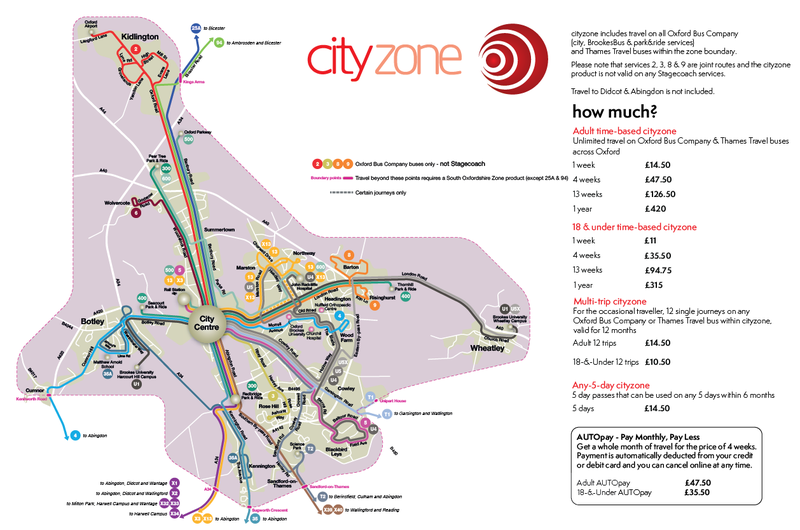 The cityzone product does not include Stagecoach buses but is cheaper as a result. Note that passengers using 18-&-Under products must be under 19 years of age throughout the use of the product. Available in 1, 2, 3 and 4 week durations (must be used within 6 months of purchase). The cityzone covers all Oxford Bus Company and Thames Travel buses within the cityzone area (click t.. If you're aged 18 or under, the Get Around card is your ticket to discounted travel within the cityz..